The flowers of sadabahar are also known as Catharanthus Roseus in english.Sadabahar flower plant you will find most easily everywhere and perhaps so many people do not know its importance.Sadabahar plant flowers are very beneficial in many diseases like in diabetes,BP,skin problem etc and they are completely natural,so there is no harm.This floral pattern of five petals is white, pink, purple in colour. Let's know what are the advantages of Sadabahar. Menorrhagia - In this disease there is exceptionally extra menstrual cycle.The essence of its leaves is used in the treatment of this disease. Diabetes - If you have diabetes, you should wash 5 to 6 flowers of sadabahar with water and chew in the morning time.Sadabahar have the properties of reducing blood sugar naturally. Diphtheria disease - Sadabahar leaves is activated against the bacterial diphtheria against corynebacterium diptherae.Therefore the principle of its leaves can be used in the treatment of diphtheria disease. Hemorrhoids - Crushing its leaves and flowers and apply the paste on effected area. Skin problems - On skin having itching, red marks, rashes or any kind of allergy gives relaxation with juice of sadabahar flowers. Pimples - By apply the juice of sadabahar flowers and leaves on pimples, they get rid of them in a few days. 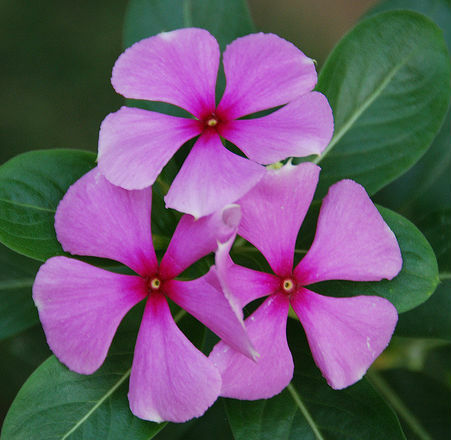 Hypertension - Chew 4 to 6 flowers of sadabahar in every morning.It helps to control the hypertension problem.